Press Release | Heartland Financial USA, Inc.
DUBUQUE, Iowa, March 20, 2019 (GLOBE NEWSWIRE) -- Heartland Financial USA, Inc. (NASDAQ: HTLF) announced that Kevin Karrels has been named Executive Vice President – Head of Consumer Banking for Heartland Financial USA, Inc. Kevin joined Heartland on March 19, 2019. 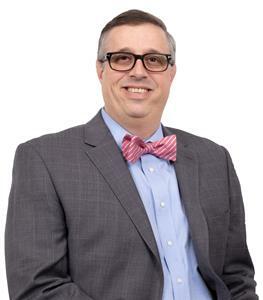 EVP Head of Consumer Banking Heartland Financial USA, Inc.
“Kevin brings a strong combination of results-driven leadership and impressive consumer banking expertise to our company,” said Lynn H. “Tut” Fuller, Executive Vice President. “He will fill a key role in our organization by ensuring our consumer customers experience exceptional service and banking solutions, both in-branch and online. The tides are changing related to technology, and Kevin is the right person to propel Heartland on that evolving journey,” Fuller said. Kevin’s financial services career started 21 years ago at the core of the customer relationship – as a head teller. Kevin joins Heartland from First Tennessee Bank (FTB), a Memphis, TN based bank with $40B in assets. He most recently held the position of Senior Vice President – Digital Channel Executive of Consumer Banking. In that role, Kevin was responsible for delivering a successful omni-channel banking experience. Kevin has extensive knowledge of consumer banking and sales management, and has been involved in all aspects of banking, from regulatory compliance to strategic initiatives. Kevin has spent his career transforming the consumer landscape with convenient technology including mobile and online banking solutions. He also developed an integrated financial experience for nearly 200 banking centers. Kevin’s expertise and passion will support Heartland’s vision for creating a world-class customer experience! Kevin earned his Bachelor’s degree in marketing from Auburn University. Heartland is a diversified financial services company with assets of approximately $11.3 billion. The Company provides banking, mortgage, private client, investment, treasury management, card services, insurance, and consumer finance services to individuals and businesses. Heartland currently has 118 banking locations serving 86 communities in Iowa, Illinois, Wisconsin, New Mexico, Arizona, Montana, Colorado, Minnesota, Kansas, Missouri, Texas and California. Additional information about Heartland is available at www.htlf.com. This release, and future oral and written statements of Heartland and its management, may contain forward-looking statements within the meaning of the Private Securities Litigation Reform Act of 1995 about Heartland’s financial condition, results of operations, plans, objectives, future performance and business. Although these forward-looking statements are based upon the beliefs, expectations and assumptions of Heartland’s management, there are a number of factors, many of which are beyond the ability of management to control or predict, that could cause actual results to differ materially from those in its forward-looking statements. These factors, which are detailed in the risk factors included in Heartland’s Annual Report on Form 10-K filed with the Securities and Exchange Commission, include, among others: (i) the strength of the local and national economy; (ii) the economic impact of past and any future terrorist threats and attacks and any acts of war, (iii) changes in state and federal laws, regulations and governmental policies concerning the Company’s general business; (iv) changes in interest rates and prepayment rates of the Company’s assets; (v) increased competition in the financial services sector and the inability to attract new customers; (vi) changes in technology and the ability to develop and maintain secure and reliable electronic systems; (vii) the loss of key executives or employees; (viii) changes in consumer spending; (ix) unexpected results of acquisitions; (x) unexpected outcomes of existing or new litigation involving the Company; and (xi) changes in accounting policies and practices. All statements in this release, including forward-looking statements, speak only as of the date they are made, and Heartland undertakes no obligation to update any statement in light of new information or future events. Source: Heartland Financial USA, Inc.